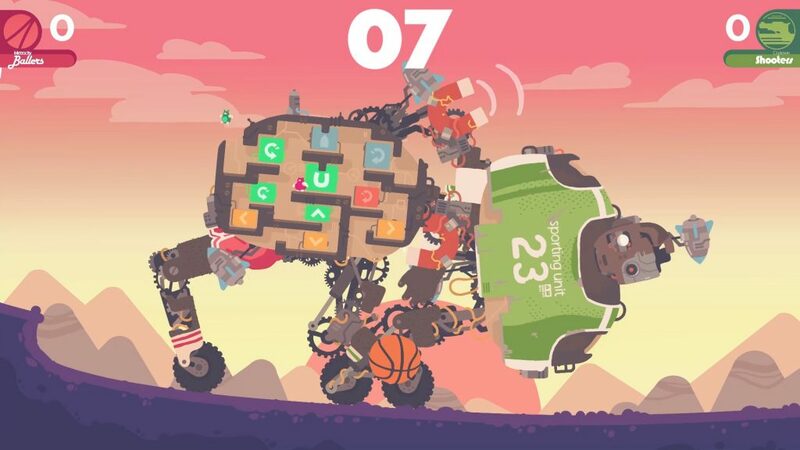 Previously on Backlog Quest, we took a look at Regular Human Basketball, which, as the title suggests, is a game about a couple of regular, average humans that are… definitely not robot suits controlled by tiny aliens… facing off with some one-on-one on the b-ball court. Prefer to watch? Check out the episode on the 2 Headed Hero YouTube channel! 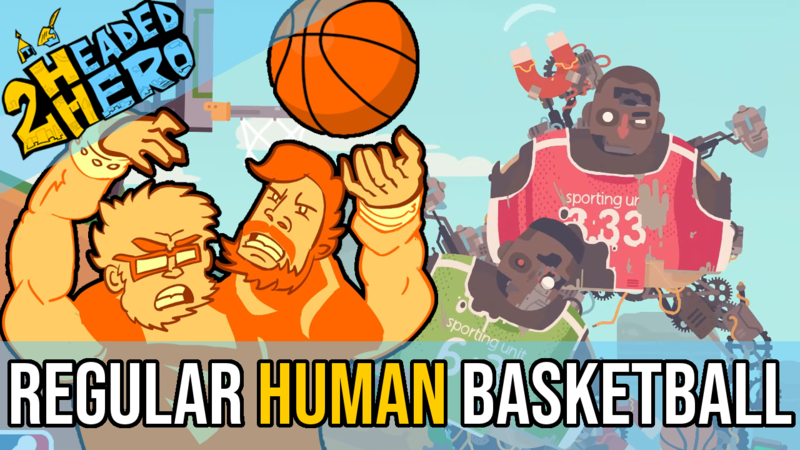 Regular Human Basketball: Could It Be the First Entirely 100% Human Sports Game? 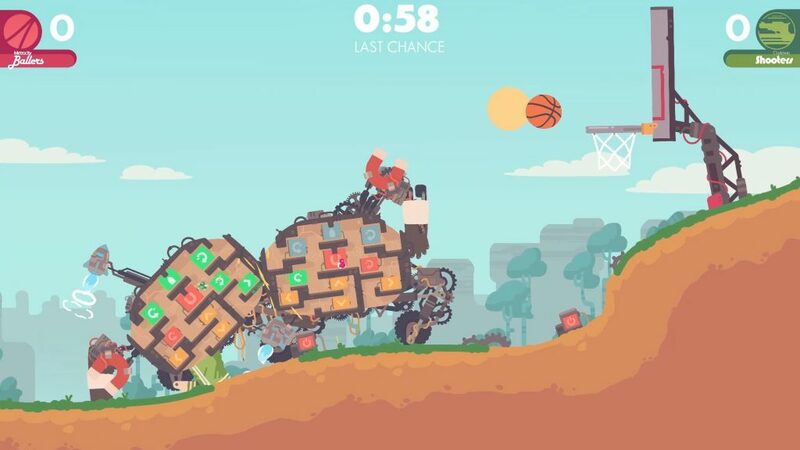 Regular Human Basketball is a multiplayer-focused competitive platformer and physics puzzler. This relatively new indie title, released on August 1, 2018, represents the second effort by the Australian two man team Powerhoof Games– the first being the rather novel 2017 dungeon diver Crawl. 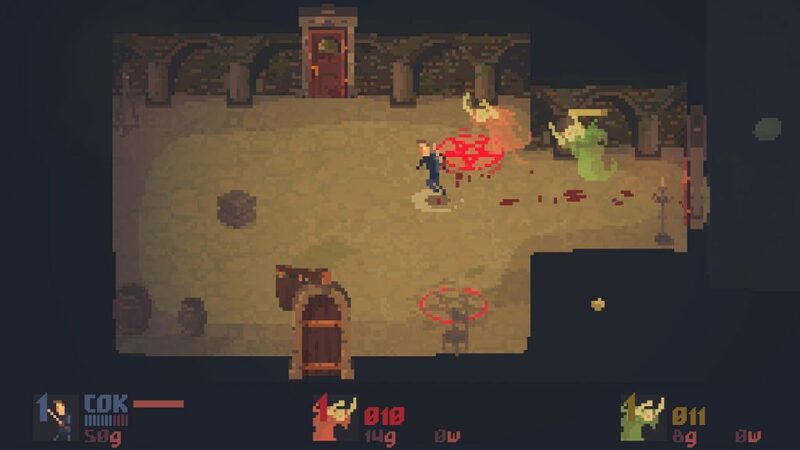 Crawl: The ideal dungeon hack-and-slasher if you want to turn friends into enemies! 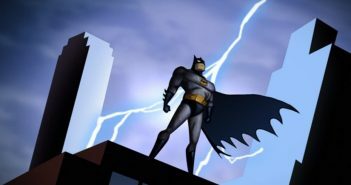 Both games feature detailed 2D art and a multiplayer focus, but this is where similarities end. Crawl focuses on a peculiar brand of competitive couch-only multiplayer with monster possession mechanics, king of the hill victories, and rampant hacking and slashing, with each player attempting to take down the leader in a battle for score dominance and bragging rights. Alternative game title: Hoopin’ With Humans. Powerhoof, take note: I’m available as an idea man. In contrast, Regular Human Basketball takes a team-based approach. 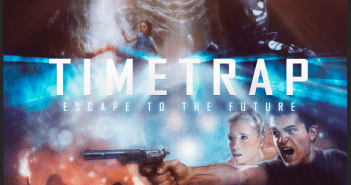 Two squads of up to five players each face off locally, or online, in a curious combination of platforming, wobbly physics, spirited competition and jolly cooperation. The goal? 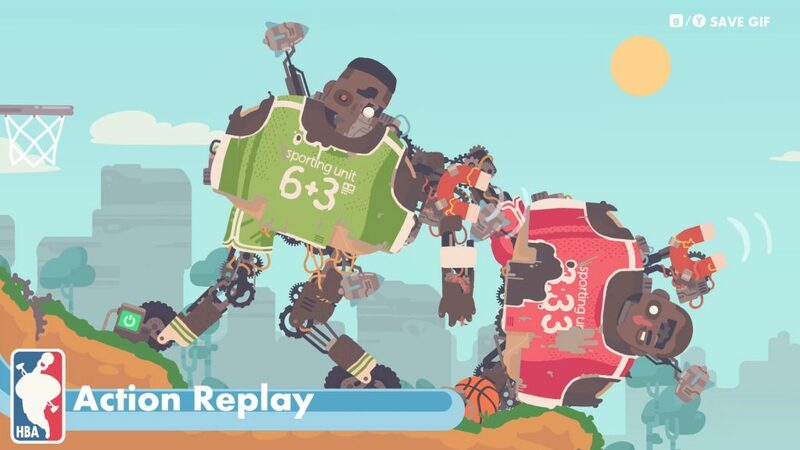 To see which of their “humans” can dunk-em-up the most before the end of the match. Rather than directly controlling the “human”, players instead take on the roles of tiny, fragile aliens that can easily be crushed by the basketball itself. These itty-bitty ETs jump inside of the “humans” in order to aim their boosters, swing their magnets, and put their wheels into gear. All this is accomplished by manipulating various switches inside the “human”. Therefore the path to victory can be a challenging and often hilarious one, as players have to master a combination of frantic multitasking and concise timing, all while anticipating the movements of both your own “human”… and your opponent’s. 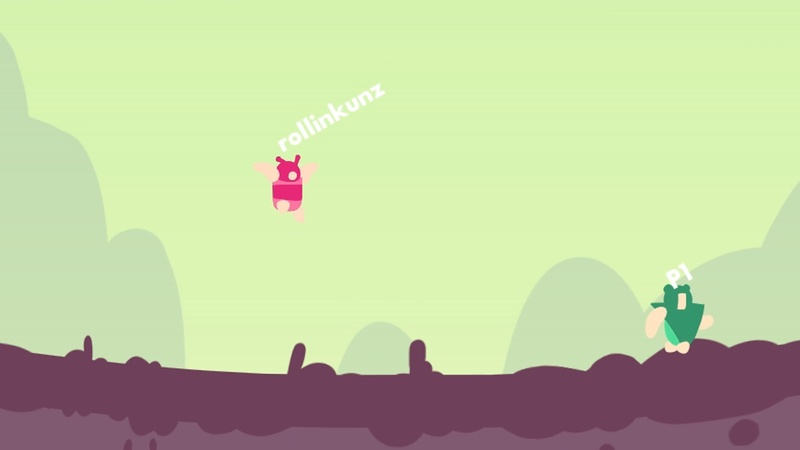 Rounding out the game’s clean and attractive visual presentation are a few other clever touches. There is a small selection of courts to choose from, each with different terrain or features to help mix up the matches. The sound design here is also really solid, containing the clanks and clunks of colliding humans and rebounding b-balls. The bouncy 80s-style hiphop soundtrack is often hilariously punctuated by the giggle-worthy outbursts of a couple regular “human” announcers. The real icing on the cake is the absolutely wonderful fast-time instant replay feature – watching one “human” triumph with a buzzer beater or boost dunking high above an opposing team’s head is just… simply… magnificent. I can appreciate a good concept in gaming. Praising innovation is something we often strive for throughout our never-ending Backlog Quest, and Regular Human Basketball simply exudes creativity. Its presentation is funny and endearing, its controls are simple to learn but hard to master, and despite the very occasional lag spike or disconnect, the game ran well. Still, I unfortunately had a rather frustrating time with Regular Human Basketball. I just could not seem to get a good enough handle on the mental gymnastics required to succeed, or even legitimately score, in a single one on one match. When putting a game under the microscope, it’s important to create some distance and objectivity and realize that sometimes it’s not the game that’s at fault, but the player. When I run into a title like this, where I can see all this the potential fun lurking beneath the glass but can’t touch it for the life of me, it’s both frustrating and heartbreaking. Unfortunately, Regular Human Basketball‘s main issues lie with its lack of marketing and near-silent launch. Some of the issues I found with the game are not without merit, however. 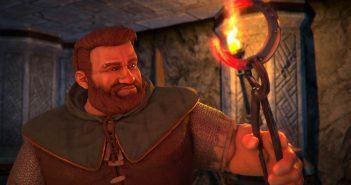 Player base is the lifeblood of any multiplayer game, and the Achilles Heel for Regular Human Basketball – almost no one is playing this game. After the initial hilarity factor wore off and we sat in the barren matchmaking trying to team up for a two on two for far too long, I couldn’t help but repeatedly think how much more fun could be had with Regular Human Basketball if it had the player base to support its ambitions, or even an option to play cooperatively against bots. Regular Human Basketball has a simple creative charm that got a lot of laughs out of me, despite my inability to even master its basic strategies. This game would be the perfect timekiller with a group of friends. 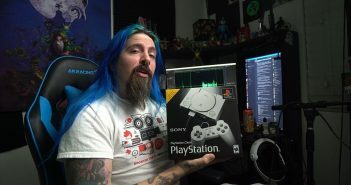 Passing out controllers on the couch in front of Regular Human Basketball would definitely set a great and goofy tone while waiting for your cab to show up before a night on the town – or even later on during that same night, after waiting for that necessary post-crawl pizza delivery. 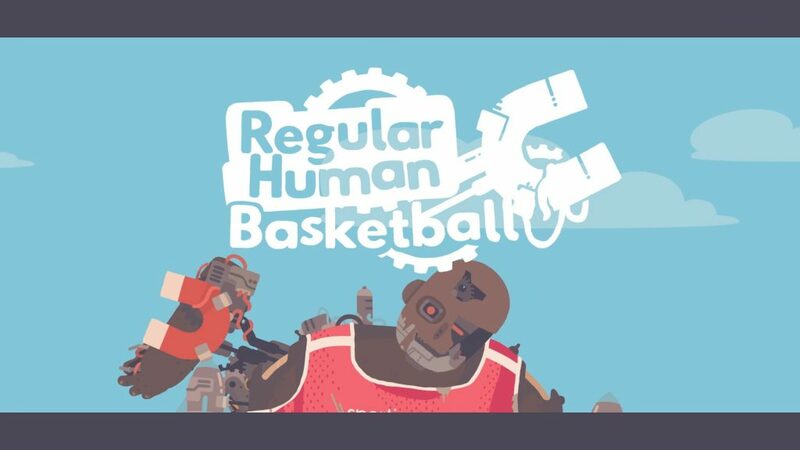 Regular Human Basketball is quite a good, polished deal for its $4.99 asking price, better if you have a pile of controllers and a TV handy. Although it might not be the preferred flavor for this gamer, I respectfully give this game a salute of my sweatband. 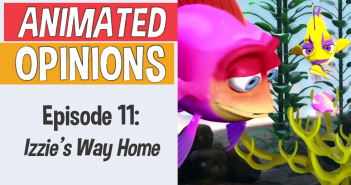 Check out the episode on the 2 Headed Hero YouTube channel!